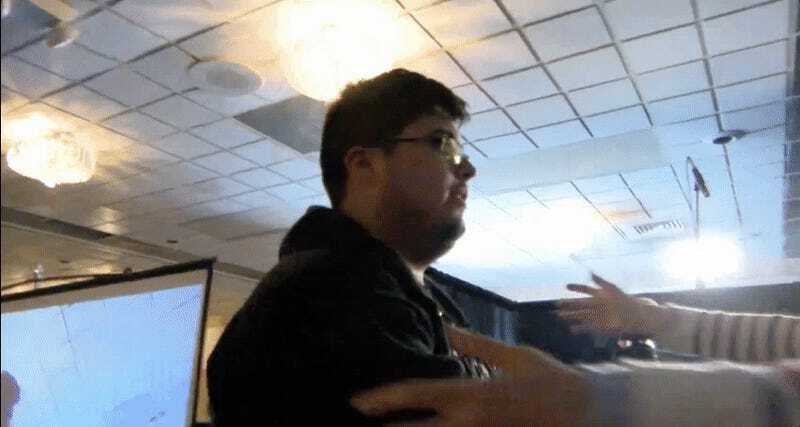 At this weekend’s Frostbite Smash 4 tournament, competitors ZeRo and Tsu faced off in a tense grand finals match that could only be compared to the last fight between Dragon Ball Z’s Goku and Cell. Diddy Kong main ZeRo was, for two years, the top Smash 4 player in the world. He’s great at Diddy Kong’s sharply-timed back aerials and banana-throws that distance and distract his enemies. 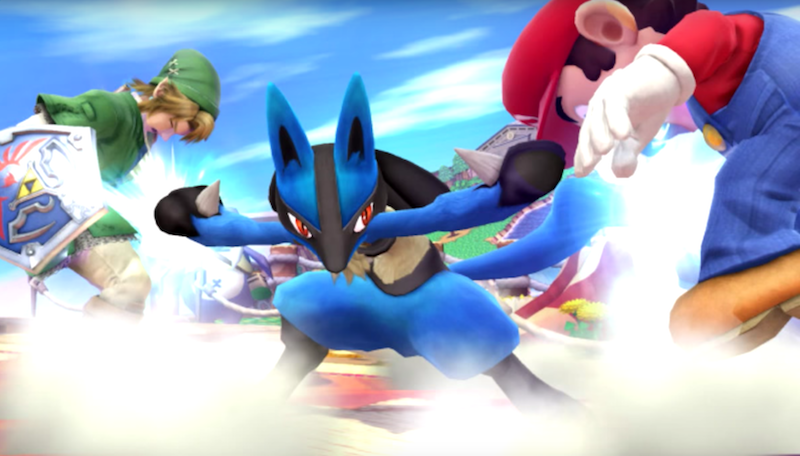 Tsu, a Lucario main from Japan, is a relative newcomer to the international Smash 4 scene. He’s taken sets off some top players, but hadn’t stood out too much until last weekend’s epic match-up. Sometimes, the dodges were just impossible. Here, Tsu knocked Zero out so hard that his rocketbarrels went sputtering off behind him. This was my favorite moment from the match. Tsu smashed ZeRo far off the stage, and to recover, Zero bravely flings himself under the map. The second his body peeks up on the other side, Tsu nails him with his charged energy ball. Neck-and-neck with two wins each, and both over 100%, Diddy’s up-smash closed the deal. It was a tense minute, full of ZeRo’s impressive dodges and Tsu’s creative recoveries. Zero described the victory as one of his hardest-earned yet. His hands were shaking, he said. His victory was met with elation, even though the crowd cheered for Tsu for much of the mach. The two then hugged.